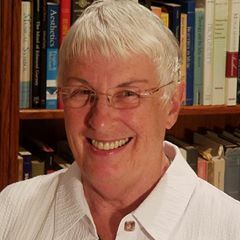 Estelle Jorgensen is Professor Emerita of Music (Music Education) at the Indiana University Jacobs School of Music and University Research Reviewer, Research Methodologist, and Contributing Faculty Member at the Richard W. Riley College of Education and Leadership, Walden University. She holds honorary doctorates in music from Sibelius Academy, University of the Arts, Finland, and Andrews University, U.S.A., and a Ph.D. in Education from University of Calgary, Canada. Founder of the Philosophy Special Research Interest Group of the National Association for Music Education and co-founder of the International Society for the Philosophy of Music Education, she has led or contributed to international philosophical symposia in Bloomington, Indiana, USA (1990), Los Angeles, California, USA (1994), Toronto, Ontario, Canada (1997), Birmingham, United Kingdom (2000), Lake Forest, Illinois, U.S.A. (2003), London, Ontario (2005), Hamburg, Germany (2007), Helsinki, Finland (2010), New York City, USA (2013), Frankfurt am Main, Germany (2015), and Volos, Greece (2017). Editor of the Philosophy of Music Education Review and the Counterpoints: Music and Education book series published by Indiana University Press, and Philosopher-Teacher-Musician: Contemporary Perspectives on Music Education (1993), she is the author of In Search of Music Education (1997), Transforming Music Education (2003), The Art of Teaching Music (2008), and Pictures of Music Education (2011), and numerous articles in leading music education journals internationally.